new boats skippered to perfection by experienced and friendly skippers. Our skippers are long time partners. 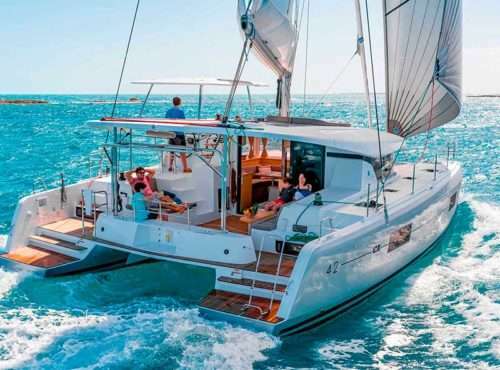 Escapada Catamarans is proud in differentiating itself from the rest. 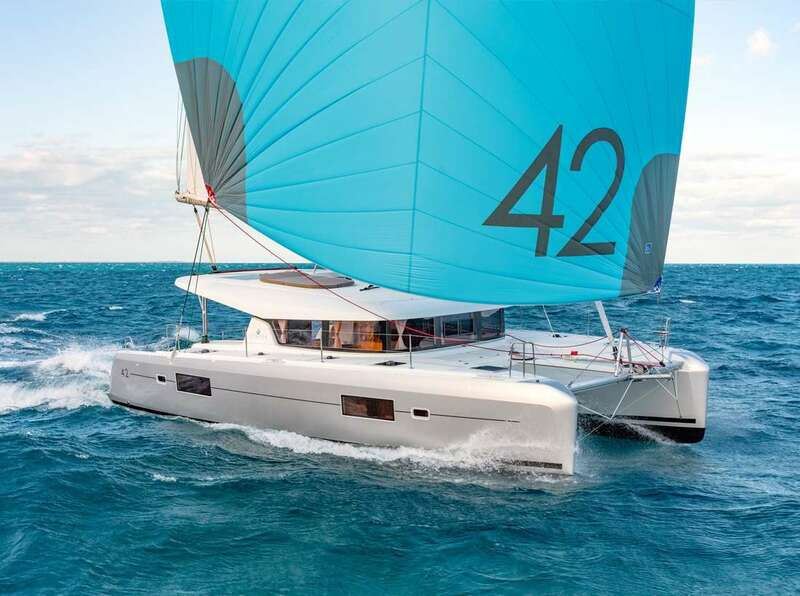 A young company born from the sailing catamaran chartering experience in Ibiza & British Virgin Islands. 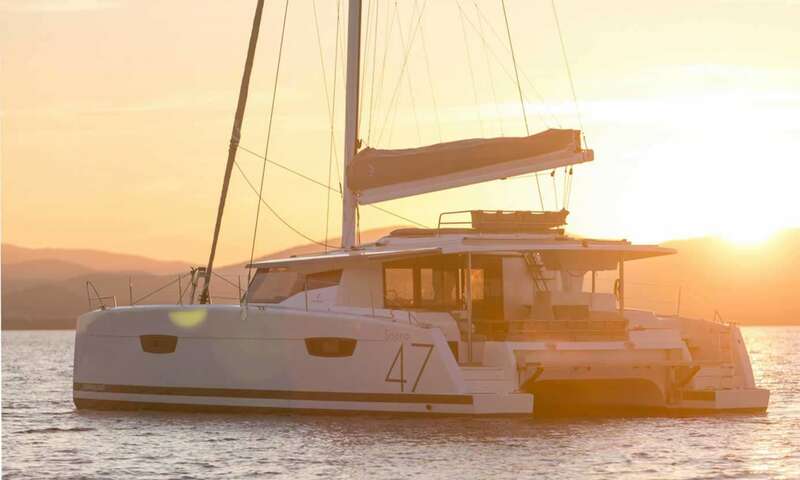 We offer a crewed catamaran service to ensure clients a great charter experience. You are hiring a dedicated, knowledgeable skipper who is passionate about sailing. The skipper knows the boat, the waters and can solve problems when they arise. They also take care of all the daily chores: sailing, navigating, mooring, etc. Don’t worry about the privacy on a crewed yacht, generally, the crew quarters are separate if you wish to spend time alone. We want our clients to be treated with care, to be pampered and made to feel safe at sea and the crewed option is the best choice. However, if you prefer the bareboat option please let us know and we will work out all the details. We only offer the newest models, with owner configuration for maximum comfort. New boats skippered to perfection by experienced and friendly skippers. Our skippers are long time partners. They are mature, well experienced sea skippers. Trusted individuals, friendly and polite, that will help you get the most out of your dream vacation. Relax and enjoy your dream vacation; the experienced skipper will select the finest protected coves taking into consideration the winds and the weather of the day. 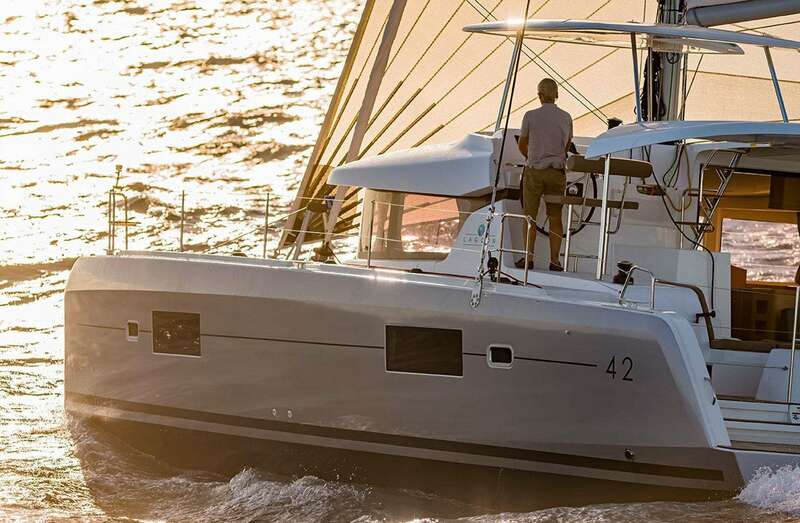 We only offer the newest models, with owner configuration for maximum comfort, new boats skippered to perfection by experienced and friendly skippers. AZURITE – Lagoon 42 (2018) – 3 cabin owner version – Book NOW for summer 2019! A “tailor-made” mini cruise through the coast of Ibiza. A DREAM, A LUXURY HOLIDAY as perfect as it can be. Looking for a boat trip in Malaga? 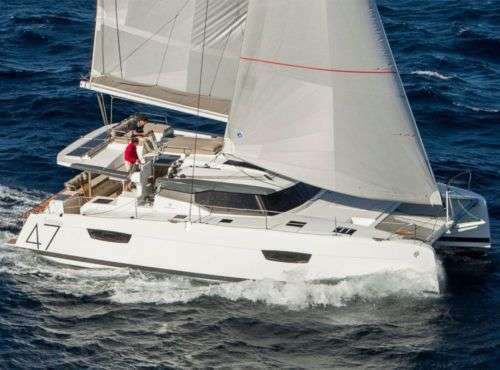 We offer the most comfortable, livable and stable boat: a Luxury Catamaran in Malaga. 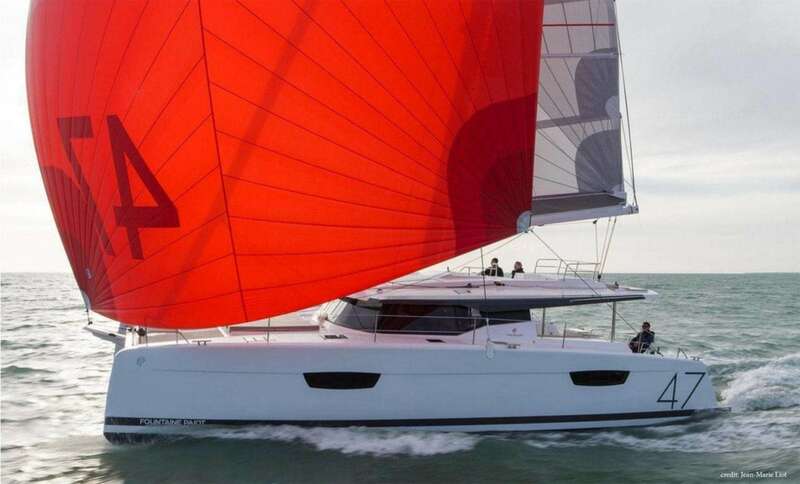 It has a net on the bow which allows sunbathing while you are sailing. Enjoy the amazing views of the La Costa del Sol weather from the sea. 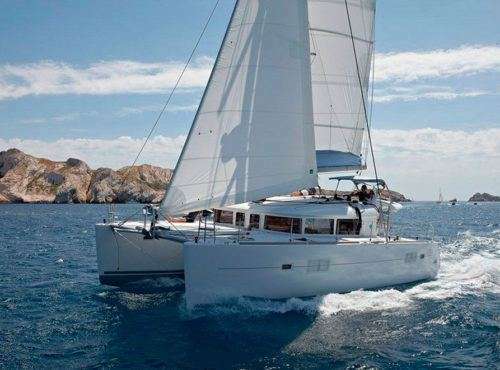 Welcome on Escapada Catamarans Ibiza Yacht Rental!